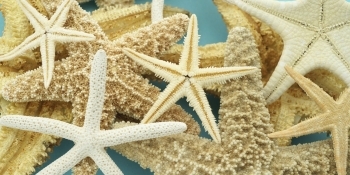 Look closely at your customers to find out who's the real star. Every good business tries to make the most of its top customers; and many work just as hard to avoid wasting resources on poor prospects. , which was first developed by Vilfredo Pareto in his book, "Cours d'économie politique," tells us that 80 percent of sales come from only 20 percent of customers. Yet research shows that most marketers can't identify that segment of their database. Without this crucial information, they resort to a "one-size-fits-all" approach to communicating with their customers. One way to avoid this, and to make more sense of a market, is to use RFM segmentation*. In this article, we'll discuss how this tool has evolved from the early days of direct mail to the modern world of e-marketing. We'll look at its advantages and disadvantages, and how you can use it to "zero in" on your most valuable customers. How recent was the customer's last purchase? A person who has bought your goods or services in the last week, month or quarter is more likely to respond to you than someone who hasn't dealt with you in more than a year. How frequently does the customer purchase? If he is buying something from you several times a year, he's already a fan. He's likely to respond more actively and positively than the casual browser, who rarely buys anything. How much money does the customer spend? If she chooses your more expensive services, or orders lots of items at a time, she's going to respond more warmly to you than a customer who goes for the cheaper options. Baird, N. and Kilcourse, B. (2012). "Marketing in Retail: Making the Case for CMO," RSR Research [online]. (Available here.) Accessed 27 March 2015. Miglautsch, J. (2001). "Thoughts on RFM Scoring," ISSM Electronic Journal [online]. (Available here.) Accessed 16 March 2015. Pareto, V. (1897). 'Cours d'économie politique,' Lausanne: l'Université de Lausanne. Roe, T. (2011). "Is RFM Segmentation Relevant for Email Marketers?" Accenture [online]. (Available here.) Accessed 16 March 2015. Wollen, R. and Boland, J. (2009). "How to Incorporate RFM Segmentation With Predictive Models," Target Marketing [online]. (Available here.) Accessed 16 March 2015. Nam, S. (2014). "A Simple Way to Measure Reader Loyalty," Glendemands [online]. (Available here.) Accessed 16 March 2015.